Atkins, one of the world’s leading design, engineering and project management consultancies and a member of the SNC-Lavalin Group, has appointed Grant Porter as the new chief executive for the company’s engineering, design and project management business in the Middle East and Africa. Porter is a seasoned executive with over 26 years of international and regional experience in professional services, construction and project management across the MEA, Europe and Asia region, where he has successfully delivered acquisition and integration, engineering, and construction major projects. 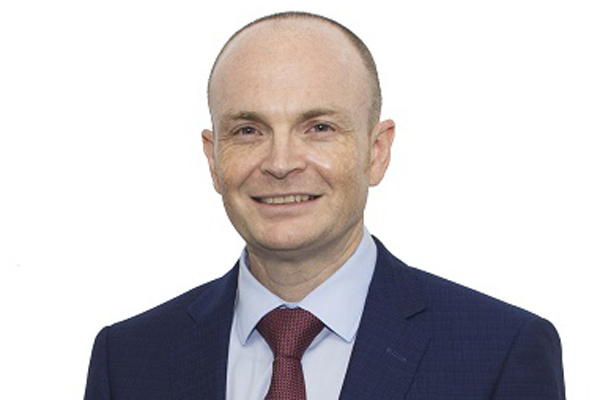 He joined Atkins in the Middle East in 2009 as regional finance director, then subsequently as chief operating officer before stepping into the CEO role. Previously, he held the position of regional finance director at Hyder Consulting (now Arcadis) in the Middle East, and worked in finance positions with KPMG and IBM in the UK. Nick Roberts, president (Engineering, Design and Project Management), said: "Atkins has established a world-class reputation by delivering some of the region’s most iconic projects that meet cities’ growth demand and maximize economic impact." "Over the past 10 years, Porter has played an integral role in growing our regional business presence as part of the senior leadership team, and recently as chief operating officer," stated Robeerts. "As CEO, he will continue to drive our growth strategy and cement our regional footprint that has spanned over 50 years," he added. Reporting to Porter, Adrian Lindon will be the new managing director of the Design and Engineering business who will drive this segment of the company’s capabilities forward and address the rapid growth in the region with a key focus on innovation and design transformation. Over the past 12 years, Lindon has undertaken numerous leadership and management positions with the company across the Middle East and North America. Prior to this, he had worked in the UK and Asia Pacific. Atkins is one of the world’s most respected design, engineering and project management consultancies. Together with SNC-Lavalin, a global fully integrated professional services and project management company, Atkins helps clients plan, design and enable major capital projects, and provides expert consultancy that covers the full project lifecycle. The company boasts a track record of delivering flagship projects in the Middle East such as Dubai Metro, Burj Al Arab, Dubai International Airport and King Abdulaziz International Airport. Its Engineering, Design and Project Management business also includes the Faithful+Gould and Atkins Acuity capabilities and service offerings.